Sarah is a graduate of Georgian College and has an extensive background in emergency medicine and nutrition. She has a soft spot for misfit animals and has opened her home to many of them. 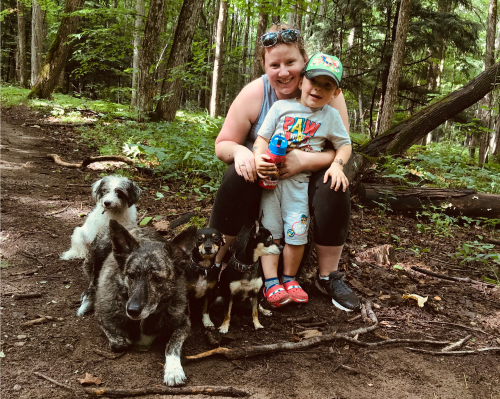 When not at work, Sarah spends time with her son Bentley, hiking with her dogs and enjoying a good book. She has six dogs (Kaleigh – Dutch Shepherd, Graycie – Terrier mix, Lily and Kya – Chihuahuas, Dansby and Fuddgie – Yorkies), three cats (Henry, Cleopawtra and Athena), two hamsters (Griffyn and Weasley) and two rats (Paddfoot and Scabbers).